NVidia's popular chipset for the 9800 servies video card gets an upgrade with 1 gigabyte of DDR3 in the PNY XLR8 9800 GT Graphics Card released recently. This mainstream card by looking at the specs alone suggest great performance possibilities for the exceptional price point compared to other higher end cards. PCWizKid takes a closer look at the card in a video review which you can watch below. A few things to note about the 9800 GT is that it is using similar architecure as its older brother the 8800 GT. The onboard PNY fan is located on the left side of the card instead of the right. 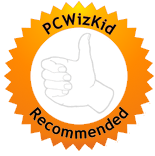 Watch PCWizKid's video review for the XLR8 9800 GT 1GB card. While the PNY XLR8 9800 GT 1024MB and previous 8800 GT models have similar clock speeds, PNY offers more memory to increase performance and and a smaller die which allows for lower power consumption. For the price point of the PNY XLR8 9800 GT 1024 which hovers currently at around $150 US you are getting more or less the same as the 8800 GT which does not bring much more to the table. If your looking for a solid mainstream card this will give you the value for the money.